London's leading independent business community invites you to showcase your venue to a new business audience. Urbano already works with some amazing venues and their teams to help them build new connections and opportunities throughout the year. With a diverse programme of speaker breakfasts, lunches and evening events and over 5,000 Members & Associates, we are always looking to introduce them to new, quality venues and add to our existing collection of Host Partners, which include some of London’s best restaurants, museums, bars, hotels, private members' clubs, conference spaces and hidden gems. Hosting an event with Urbano introduces you and your venue to London’s leading business networking community and opens up a host of opportunities to develop valuable connections across all our sectors – from Finance and Media, to Build, Design and Tech, and areas, from Mayfair to Midtown, Shoreditch to Soho, Covent Garden to Clerkenwell. In return for hosting one Urbano event, we offer our Host Venues and their sales/events/marketing teams a unique Annual Urbano Host Venue Partner Membership with access to exclusive mailers, and a range of other ways to develop their connections and promote their spaces across our community of over 5,000 Members & Associates. Networking Lunch: 12:30 - 14:30 - Host provides a buffet lunch + 1 complimentary drink pp (wine/soft drink). Max 38 attendees. Networking Evening: 18:00 - 20:30 - Host provides 2 drinks pp (wine/beer/soft drink) + canapes. Max 65 attendees. Networking Breakfast: 08:00 - 10:30 - Host provides venue space, AV and continental breakfast or seated dining depending on format. Capacity: TBC (av. 30-50 attendees). Networking Tour/Viewings: 08:00 - 10:30 OR 18:00 - 20:30 - Exclusively for galleries and museums. Capacity and format tbc with venue and flexibility on timings. To discuss event options and dates please email caroline@urbanonetwork.co.uk or call 020 7205 2215. Is there a cost to for Host Venue Partner Membership? No. Host Venue Partners receive Annual Company Membership for you and your venue events team. This includes access to our networking events (including member-only receptions and hospitality evenings), free venue enquiries passed on directly to you by email, facility to upload and promote your own events to our 5,000+ members (tastings, wedding open days, cocktail/whisky/wine masterclasses, etc. ), and Christmas Promotions sent to our 75,000+ database. Urbano Host Membership allows those venues and their teams to engage with businesses on the Urbano system, so we can introduce our venues event teams to prospects on their doorsteps when they are running promotions, or help when they need legal or HR advice. Can I take out Urbano Membership and attend networking events without hosting? No. 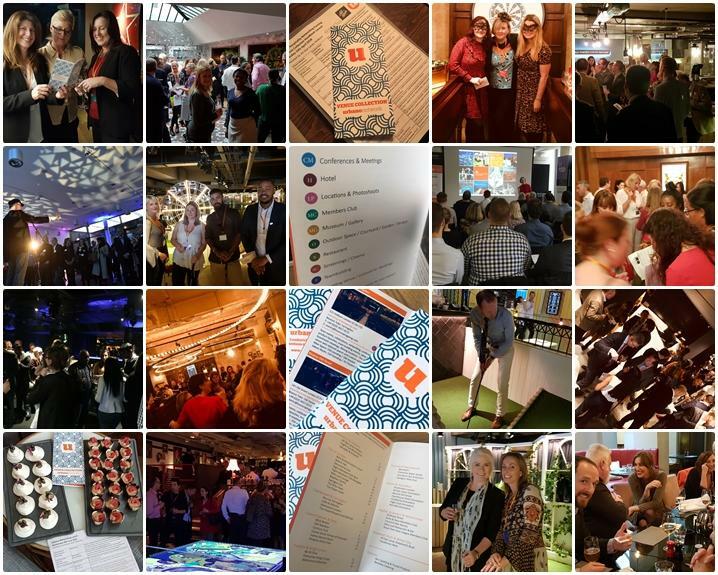 Urbano is a closed network to venues which means ONLY representatives of Host Venue Partners can book and attend our networking events in 2019. Central London locations only including City of London, Canary Wharf, Clerkenwell, Farringdon, Covent Garden, Soho, Euston, King's Cross, Fitzrovia, Marylebone, Bloomsbury, Holborn, Hoxton, Shoreditch, Mayfair, St James's, Westminster and Chelsea & Kensington. My venue is part of a group/chain. Does the membership extend to all venues? No. Membership is on a venue-by-venue basis. Only the venue and venue event representatives receive membership and access to promotional benefits. I run a Dry Hire Venue, how would this work for us? For Dry Hire Venues and those who have to bring in caterers please email Caroline to discuss options. How do I get listed in the Urbano Venue Collection Handbook? Each year Urbano produces a pocket sized directory which includes a half page feature with colour photo for each of our Host Venue Partners for the year ahead. It is distributed to every attendee at our 60+ events and to event organisers throughout the year. Venue listings are confirmed between October and January in order for the latest Handbook to be printed and released in the February. If you have missed the deadline for this year, you can still host a networking event and get access to the benefits above. Places are limited in the Handbook and must be confirmed as early possible.